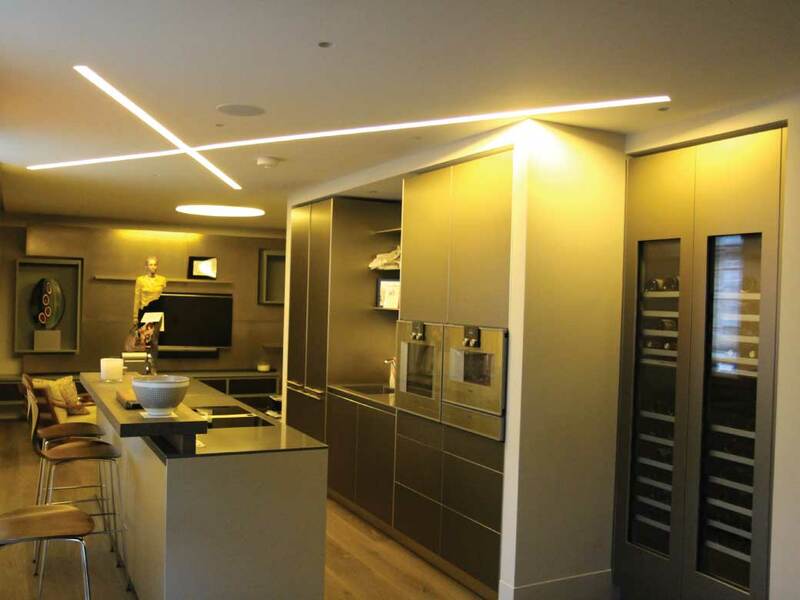 This private residence on Park Lane was designed to be an open-plan space for hosting and entertaining guests. 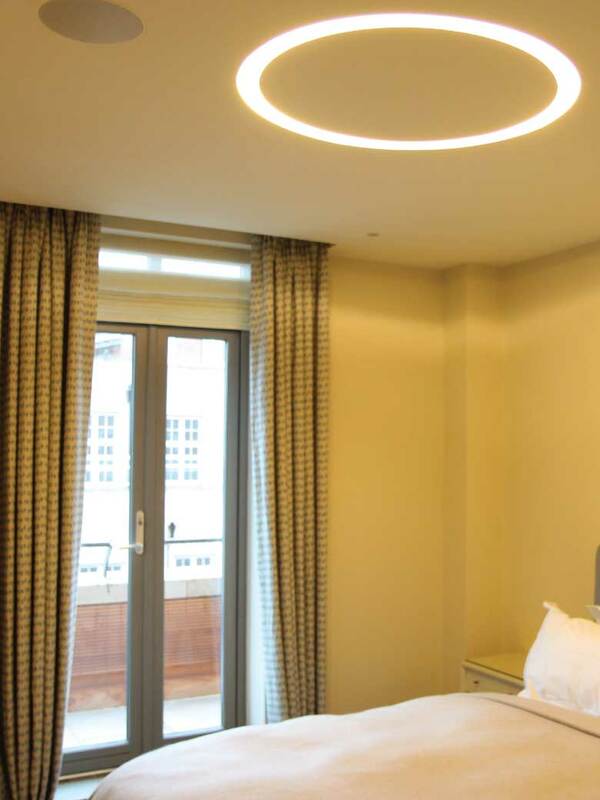 To complement the modern high-tech décor, designed by Stephen Ogilvie Interiors, Optelma specified integrated light fittings to blend in with the space. 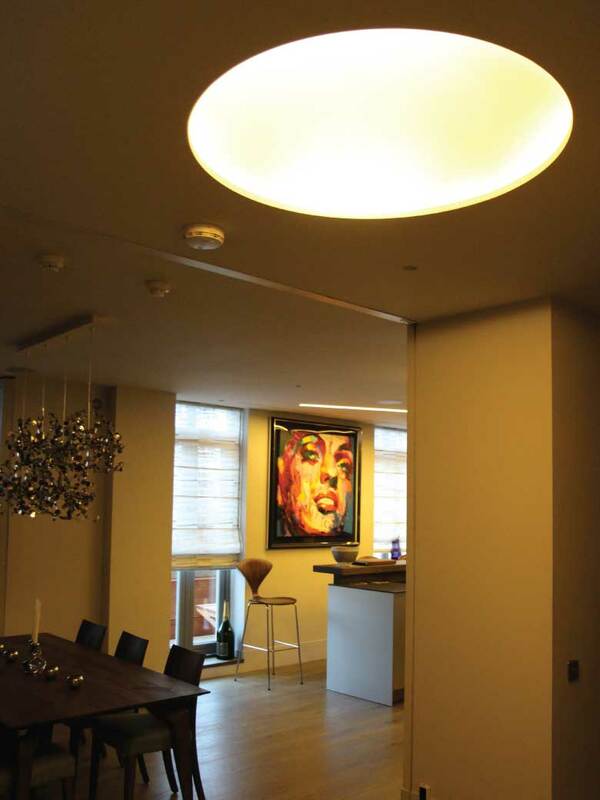 The recessed plaster-in fittings from Atelier Sedap provided the premium luxury interior briefed by the client. 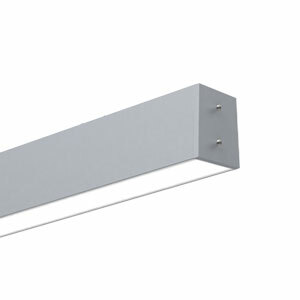 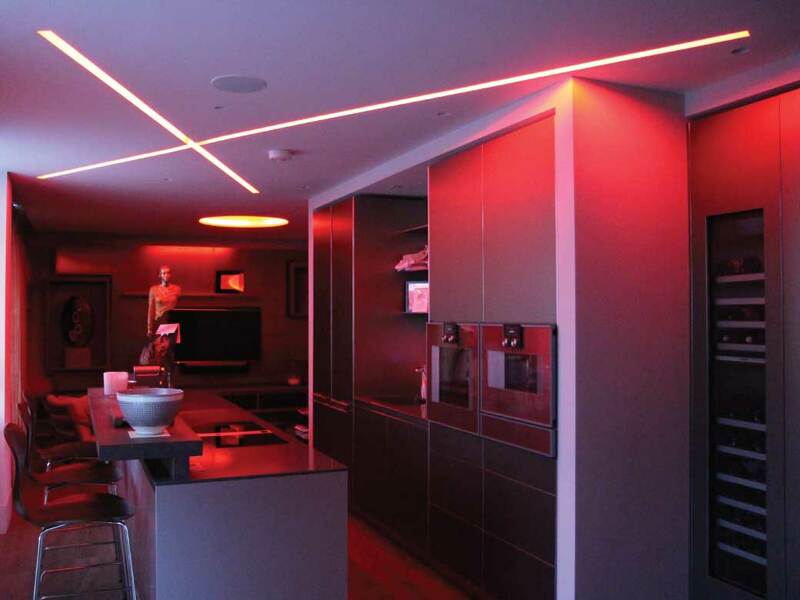 The warm glow of the linear LED lighting creates an intimate and homely setting, with the bold linear cross on the ceiling providing a strikingly unique aesthetic. 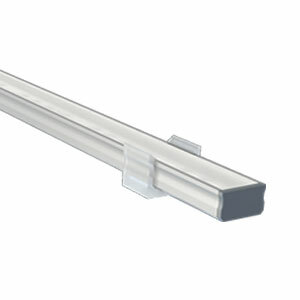 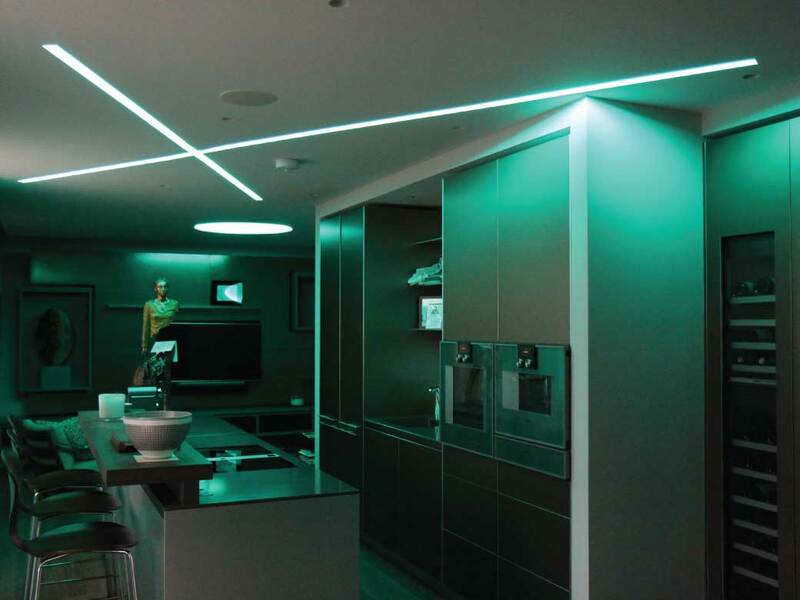 The RGBW tape in the integrated ceiling lighting, can be used to change the energy of the space, making it suitable as a hosting space and a day-to-day living space. 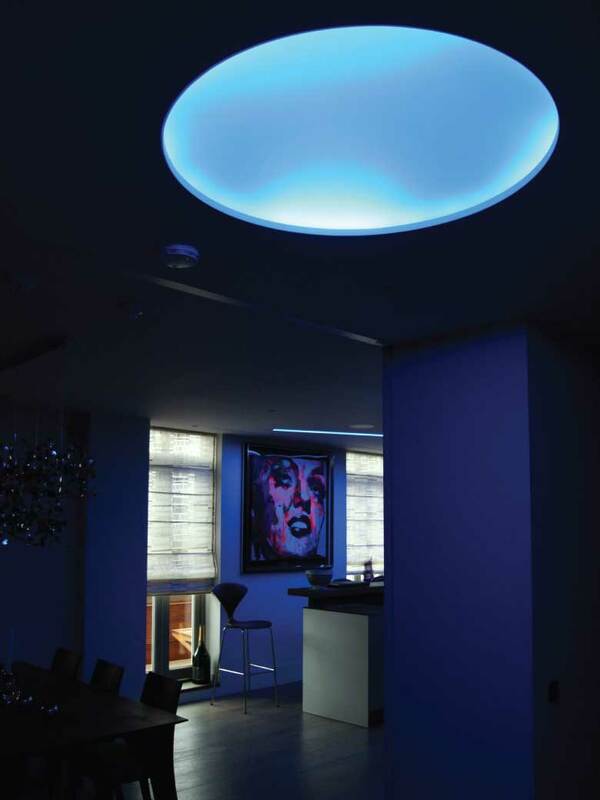 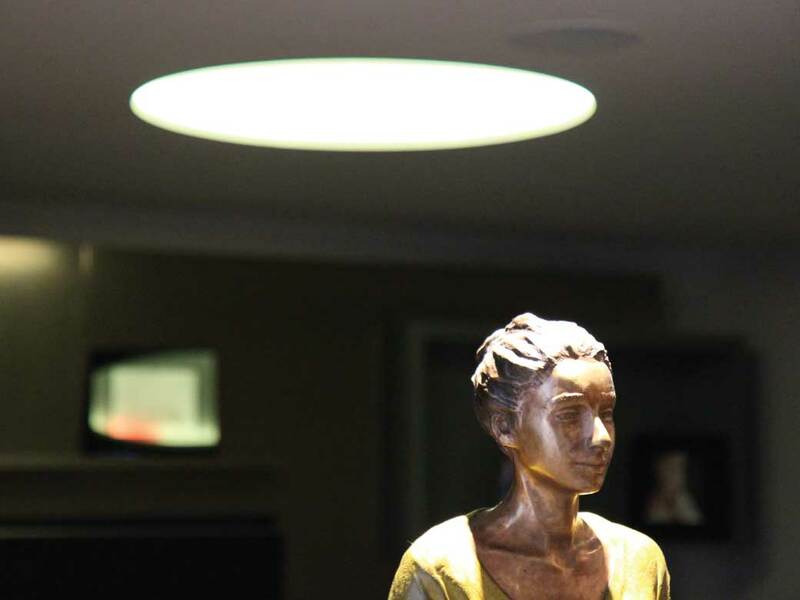 The theme of hidden-source integrated lighting is consistent throughout the flat, including plaster-in downlights in the dining area, plaster-in Microblade Circles in the bedrooms and plaster-in Coupoles in the living room and hallway. 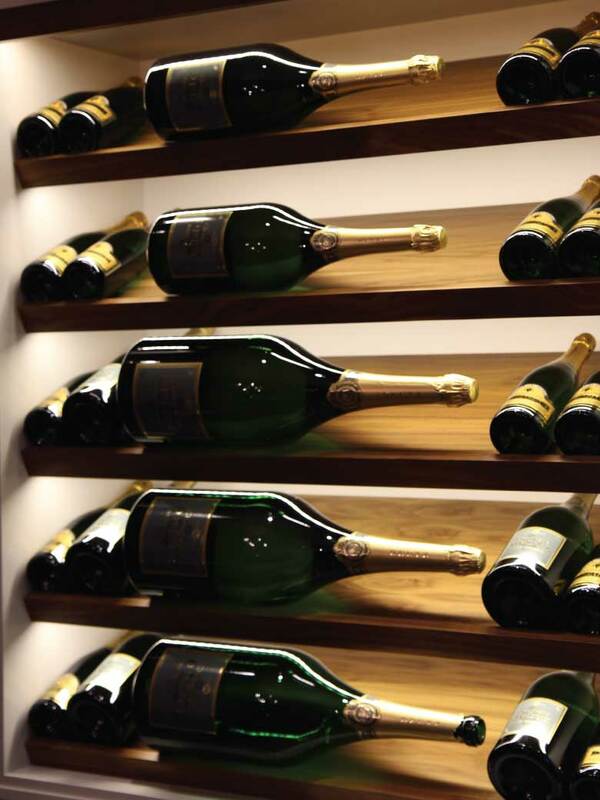 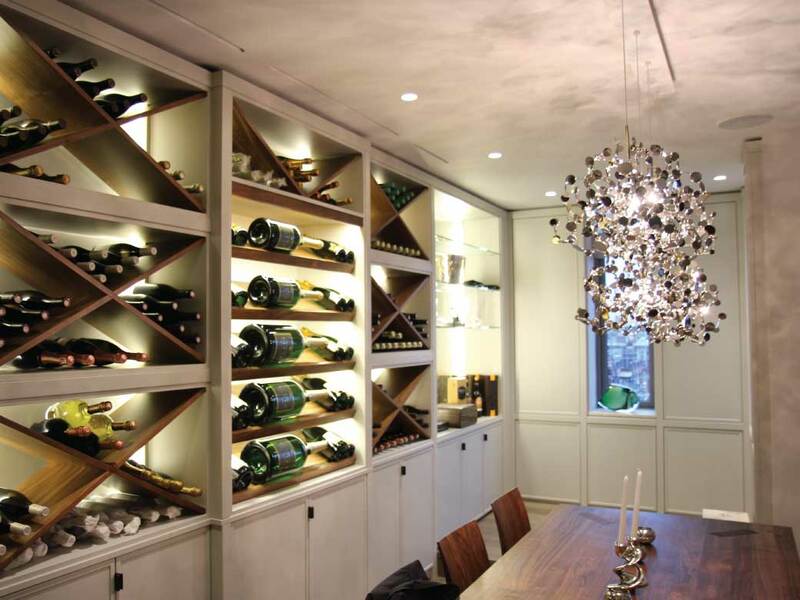 The wine racks in the dining area are lit with a linear mini profile and close-pitch Opteflex tape, hidden underneath the lips of the shelves to provide illumination to the labels of the bottles.